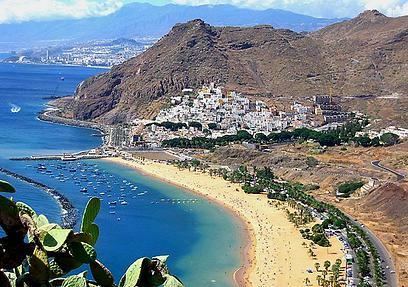 Exciting VIP Private Tour in Tenerife – private shore excursion to the Northern part of the island – Anaga Mountains and its jungle by luxury Mercedes Benz limousine, a van or bus in the case of the bigger group. The trip starts and ends at your hotel at any part of Southern Tenerife. We could pick you up from the North up to the agreement. 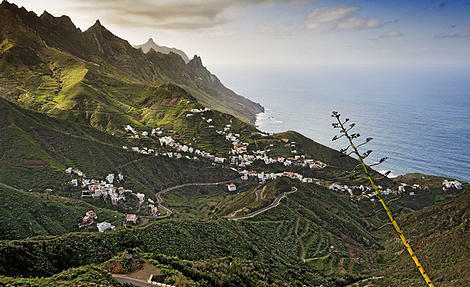 Anaga Mountains & Jungle VIP private tour in Tenerife is made exclusively for your private group or family. That means the tour is for you and only for you and you don’t share your private tour with other people. Your private VIP tour in Tenerife is starting right from your hotel or a cruise ship with experienced driver/guide, speaking your language. The first place we visit along our private shore excursion is the cozy town Candelaria with its Basilica of Black Madonna and monuments of Guanches – native people of Tenerife. 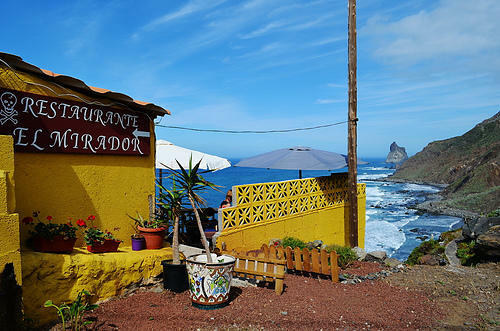 Your private guide will highlight you the history of Tenerife by the way. Candelaria town has significant importance in the Tenerife and South America historical connections. Christian missions were starting from Candelaria and brought Christianity to many areas of Venezuela, Colombia and Caribbean islands. In the past on these territories, in South America was created the cult of Candelaria and with this private VIP tour in Tenerife, you will have occasion to walk along the Candelaria’s beautiful main square and visit the Basilica of Black Madonna. In Candelaria, you will also see one of the most scenic black volcanic sand beaches in Tenerife and will have the opportunity to walk along the pedestrian street to feel the atmosphere of the town. Later on, our Anaga Mountains & Jungle VIP private tour in Tenerife leads us through Santa Cruz de Tenerife – the island’s capital and administrative center. Santa Cruz de Tenerife is quite a modern city, so we don’t stay here longer, but we do a stop by famous Auditorium de Tenerife – home of Tenerife’s symphonic orchestra and a masterpiece of modern architecture. You will also see beautiful city pools where locals spent their free time and we will cross Santa Cruz along the shore and its harbor. The harbor of Santa Cruz de Tenerife is one of the most important island harbors in Atlantic being located on crossways between South America, Europe, Africa and Eastern Asia. Finally, just after some 15 minutes, we will come to the small town of San Andres. In San Andres is located biggest beach of the island. The Caribbean style beach Playa de Las Teresitas is an artificial beach built with a quarter of million tons of sand brought from Sahara desert in Africa. 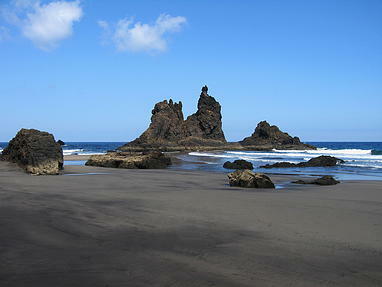 Your private tour guide will also take to a hidden place where from you can do amazing photos and also see another volcanic beach as well as off-shore oil platforms, forming a big part of the economy of the island. Coming back to the Playa de Las Teresitas, if the weather’s nice and up to your wish you can spend some time relaxing on the beach and swimming in the ocean. Next, with our VIP private tour in Tenerife we are leaving San Andres and going into the wildest part of the island – Anaga peninsula, the northernmost part of Tenerife formed with Anaga Mountains. Anaga is less explored by tourists part of the island and it’s totally different from the South Tenerife. As higher our VIP private tour leads you into the mountains as more and more green become the scenery and views are breath stopping. We cross Anaga Mountains toward the Taganana village and continue to the end of the road, making photo stops by less explored beaches to reach the village Benijo. Here you can have a short walk along the cliffs hanging over the ocean and if you wish you can have a lunch in a simple local fish restaurant with a beautiful ocean view. After a stop and rest in Beijo village, your private tour guide will take you back to the top of Anaga and you will have spectacular drive through the highest road in Anaga Mountains doing a photo stops in the most scenic places. The road is a kind of the backbone of Anaga, so it is absolutely perfect for sightseeing. As higher we drive as more and denser the jungle becomes and we will do a special stop away from touristic ways to have your first meeting with the Anaga Jungle – the opportunity possible only with Anaga Mountains & Jungle VIP private tour in Tenerife. Anaga Jungle is unique Laurel forest, also called laurisilva or laurissilva, is a type of relict and completely endemic subtropical rain forest. 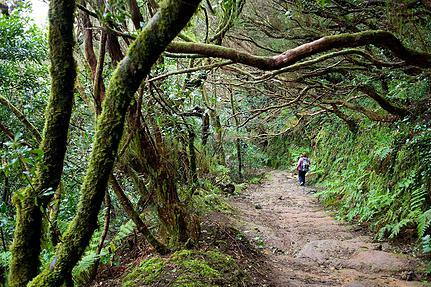 This laurel forest was covering the whole territory of Macaronesia and Mediterranean coast millions of years ago and Anaga rural park in Tenerife is one of the very few places in the world where this rainforest survived. It’s really unique and very memorable experience to walk in Anaga Jungle and the Anaga Mountains & Jungle VIP private tour is the perfect way to discover the forest with your local private tour guide which will take you to the most interesting parts and guide your walk. After you made Anaga private VIP tour in Tenerife you can say – “I really saw a different face of Tenerife” and you can be proud, because 95% of the island visitors never saw anything more than their hotel’s swimming pool and just a few of the rest of 5 % have been to Anaga. 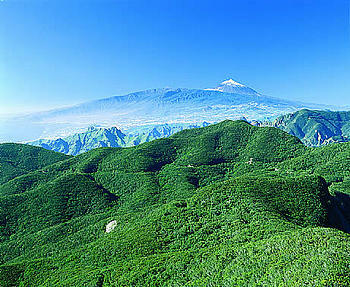 In order to make your booking of Anaga Mountains & Jungle Private Tour in Tenerife easy and comfortable Tenerife Host use the most advanced and user friendly booking platform TripsPoint.com where you can easily check last actual prices, the tour availability, required booking deposit and book this tour. To get more information of Anaga Mountains & Jungle Private Tour in Tenerife and do booking, please, click the button ‘Book Now’. You will be taken to the tour page at TripsPoint.com where you can easily book the tour. In the case of any questions about the VIP Private Tour in Tenerife to Anaga Mountains & Jungle, please, feel free to contact us.